A bill requiring the Illinois Department of Public Health provide all newborns with screening tests for the presence of spinal muscular atrophy was signed into law by Governor Bruce Rauner on Tuesday in an important step to detect and treat the leading genetic cause of infant death. SB 456 was signed into law as Public Act 100-864. The bill, which amends the Newborn Metabolic Screening Act, will add the new screening test by 2020 to a panel of tests that now includes screening for a number of disorders, deficiencies, and diseases prevalent with newborns. Newborn screenings began in Illinois in 1965. Each year, more than 700 babies are diagnosed through newborn screening, according to the Department of Public Health. Four states have adopted newborn screening for SMA, with Indiana passing legislation in early May. 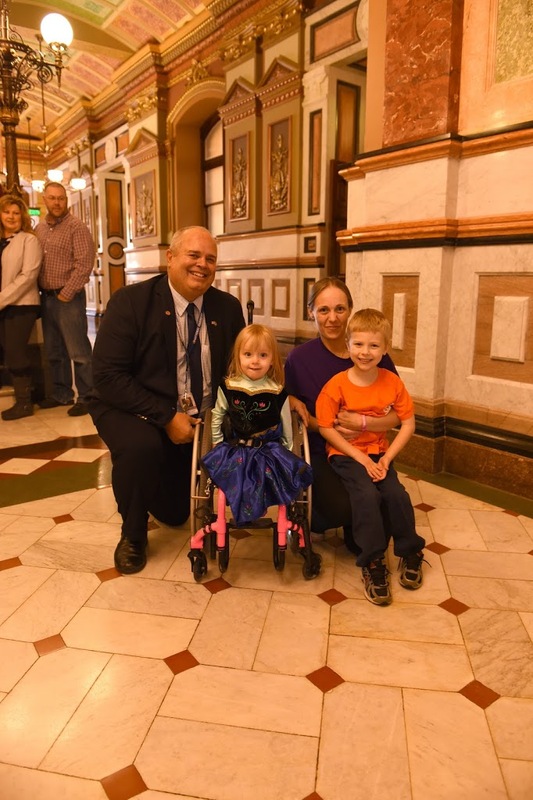 Rep. Swanson brought local families with loved ones suffering from SMA to Springfield to testify in support of the bill during the Committee Hearings on SB 456 earlier this Spring.